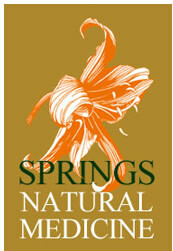 Springs Natural Medicine is a supportive environment where we believe in the partnership between doctor and patient and in the importance of a balanced integration of the physical emotional and spiritual elements that interact to create wellness. We strive to uncover the cause of disease by looking at the individual person in all aspects of their life and work to provide solutions that will help the body regain health. We work with patients from 0 to 103 years old and offer integrated care for the whole family. We are one of the few facilities offering comprehensive natural medicine to the Colorado Springs region. Currently, Dr Christensen is only taking new patients by practitioner referral.